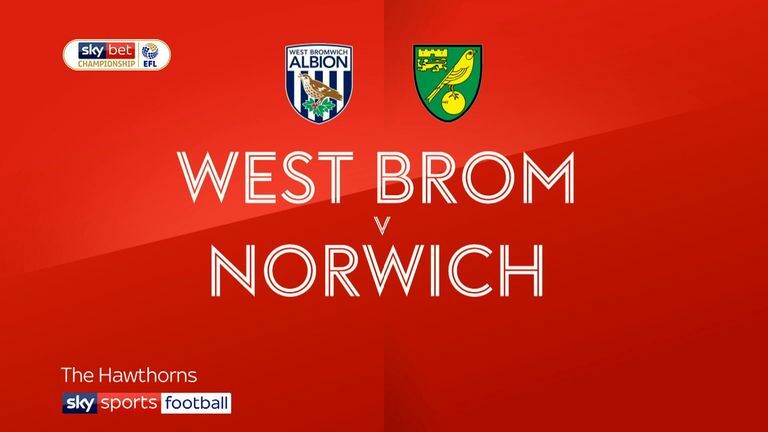 Highlights of the Sky Bet Championship game between West Brom and Norwich. 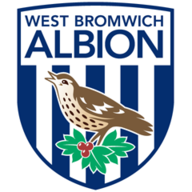 Norwich substitute Jordan Rhodes rescued a point from a 1-1 Sky Bet Championship draw with promotion rivals West Brom at the Hawthorns. Rhodes had only been on the pitch for a short time when he converted a cross from Kenny McLean in the 83rd minute. The point extended Norwich's unbeaten run away from home in the league to 12 games. But they had to do it the hard way after Albion took a 12th-minute lead through Dwight Gayle. Gayle, who had been sidelined since suffering a hamstring problem on Boxing Day, was on target for the 14th time this season. Norwich goalkeeper Tim Krul had a big hand in City rescuing a point with some stunning saves - including one in stoppage-time from Hal Robson-Kanu. Albion handed a first league start to 18-year-old midfielder Rekeem Harper in the absence of the injured Matt Phillips and James Morrison and the suspended Jake Livermore. Harper was to the fore in the early exchanges when Albion's pressure paid off with a neat finish from Gayle following a cross from Mason Holgate. Norwich had been given a warning moments earlier when Kieran Gibbs volleyed over the bar after a Holgate cross. Norwich failed to heed the danger caused by on-loan Everton full-back Holgate and were to pay the price for that. Holgate played a low near-post cross to Gayle and he nipped in ahead of the Norwich defence to stab the ball beyond Krul. The former Newcastle 'keeper was left scurrying across his goal six minutes later when Jay Rodriguez drilled a shot narrowly wide as Albion pressed to increase their lead. Krul was then relieved to see Robson-Kanu shoot narrowly off target from distance in the 24th minute before Norwich finally mounted a threat of their own. They were denied an equaliser in the 32nd minute thanks to a superb save from Albion goalkeeper Sam Johnstone, who tipped away a header from Teemu Pukki after the Finland international had met a cross from Onel Hernandez. Norwich were then indebted to Krul for keeping them in the game with two quick saves as Albion made a flying start to the second half. First, Krul tipped Robson-Kanu's rising drive over the bar and then from the resulting corner he beat away Gareth Barry's shot. Having survived that scare, Norwich gradually worked their way back into the game and substitute Dennis Srbeny forced Johnstone into a low save in the 69th minute. Pukki then squandered a golden opening 60 seconds later after a mistake from Albion defender Craig Dawson. 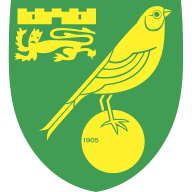 Pukki homed in on goal but failed to even test Johnstone as he pulled his shot wide before Rhodes came to Norwich's rescue. Darren Moore: "I am not disappointed at all, no way can I be disappointed with that performance. I thought that it was an excellent performance. The work that we put in in training was on show today. "We didn't allow Norwich any momentum in the game at all and we were trying to get that second goal right from the start of the second half. You saw our intention straightaway with the shot at goal. I thought it was a great performance against high-level opposition and I thought that we controlled the game for long spells." Daniel Farke: "In general we know that we are capable to be there with late goals to turn games. There is a brilliant atmosphere within the group. We believe and we have this mentality - never say die. "I would prefer a boring 2-0 sometimes! But all our games are pretty crazy. We had such a young side on the pitch - especially when you look at the back four. Sometimes we make mistakes but we have this mentality. I trust my lads and I always believe that we can come back. We have many threats on the pitch and we are always able to score and turn the game."